Laurie H. Sehn, MD, MPH, of the British Columbia Cancer Centre for Lymphoid Cancer, discusses a study by the Lunenburg Lymphoma Biomarker Consortium that confirmed previous reports on the negative prognostic impact of an underlying MYC-translocation for both progression-free and overall survival in diffuse large B-cell lymphoma (Abstract 344). Steven M. Horwitz, MD, of Memorial Sloan Kettering Cancer Center, discusses phase III findings on brentuximab vedotin and CHP vs CHOP in the front-line treatment of patients with CD30-positive peripheral T-cell lymphomas (Abstract 997). Anas Younes, MD, of Memorial Sloan Kettering Cancer Center, discusses trial findings on ibrutinib plus rituximab, cyclophosphamide, doxorubicin, vincristine, and prednisone in people with previously untreated non–germinal center B-cell–like diffuse large B-cell lymphoma (Abstract 784). Julie Vose, MD, MBA, of the University of Nebraska Medical Center, and Loretta J. Nastoupil, MD, of The University of Texas MD Anderson Cancer Center, discuss findings from a multicenter study of axicabtagene ciloleucel CD19 CAR T-cell therapy for relapsed or refractory aggressive B-cell lymphoma when used as a standard of care (Abstract 91). 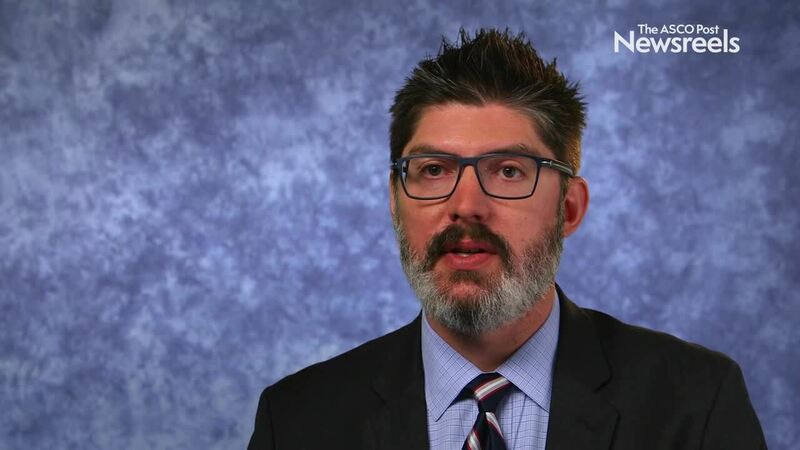 John P. Leonard, MD, of Weill Cornell Medicine/Cornell University, discusses phase III findings on lenalidomide plus rituximab vs rituximab plus placebo for people with relapsed or refractory indolent non-Hodgkin lymphoma (Abstract 445). Gilles A. Salles, MD, PhD, of Centre Hospitalier Lyon Sud, discusses trial findings on the monoclonal antibody MOR208 combined with lenalidomide in people with relapsed or refractory diffuse large B-cell lymphoma (Abstract 227).